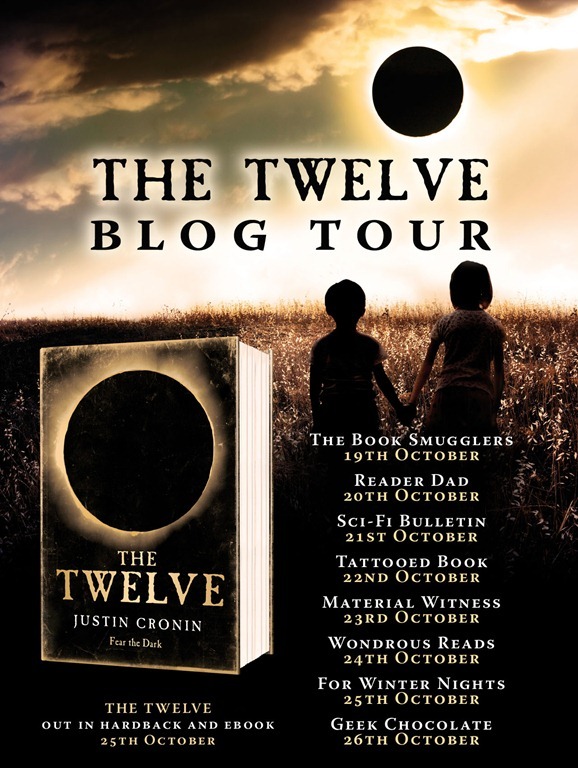 This coming Saturday, 20th October, Reader Dad will play host to Justin Cronin for the second stop of his blog tour to celebrate the release of The Twelve on October 25th. Be sure to check back after 9am Saturday for my review of the book, and for an exclusive video extract of Justin Cronin reading a short section of the book. Be sure, also, to check the other stops on the tour, for more video extracts, and an exclusive competition.